In Anatolia, where Eastern Europe, Western Asia, and the Mediterranean world overlap, layers of history – thousands of years of it – can translate into layers of melody, rhythm, and sound. This is the vision of Neotolia, an international ensemble of diverse, highly skilled musicians based in Boston. 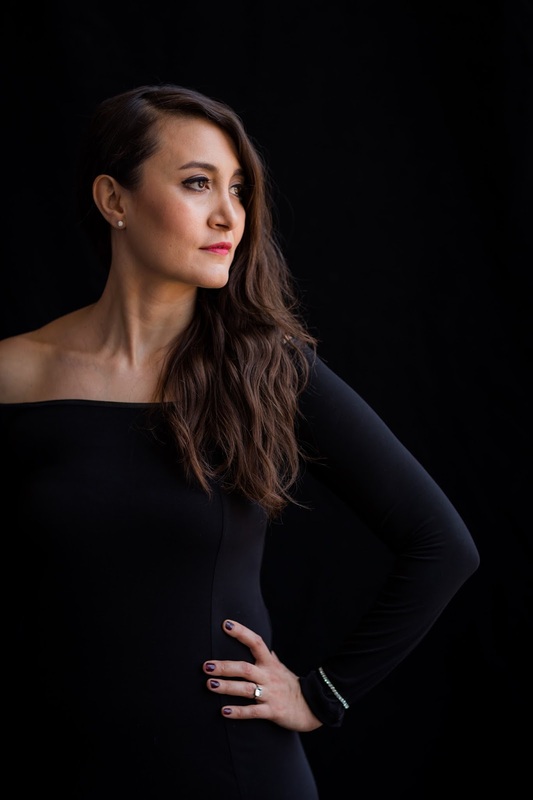 Led by singer-songwriter Nazan Nihal and pianist/composer Utar Artun, the project explores traditional and tradition-inspired pieces through the lens of contemporary composition, jazz, world music and improvisation. 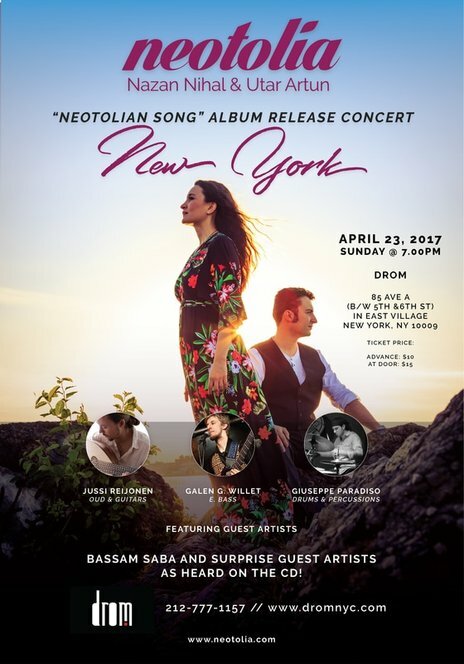 On their latest album, Neotolian Song (Interrobang Records; release date: April 23, 2017), the Turkish-born duo imagine lost ancient languages (“Neotolian Song”), mourn those lost to terrorism (“Değişmek Cesaret İster/ Change Takes Courage”), and weave new emotion into striking folk songs. 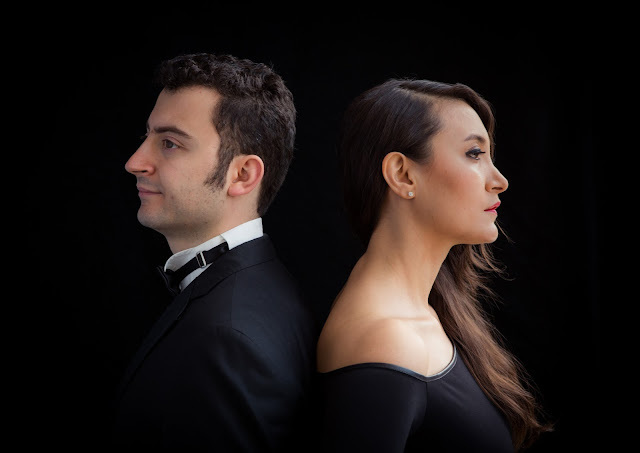 Artun and Nihal have enlisted musicians hailing from Finland to Lebanon, from Iraq to China to add their own voices to complex yet elegant pieces. Turkish traditional instruments like the qanun, ney and oud, Western and Eastern strings (violin, cello, erhu) join a core quintet (Nihal voice, Artun on piano, Jussi Reijonen on guitars, Bruno Råberg on bass, and Giuseppe Paradiso on drum kit). The group will perform in Boston, New York, and DC in April and May. The project began one night several years ago, when Artun was visiting Turkey. He heard Nihal sing several traditional songs in Nihal’s arrangements and was stunned. “We have to record those songs,” Nihal recalls him saying. 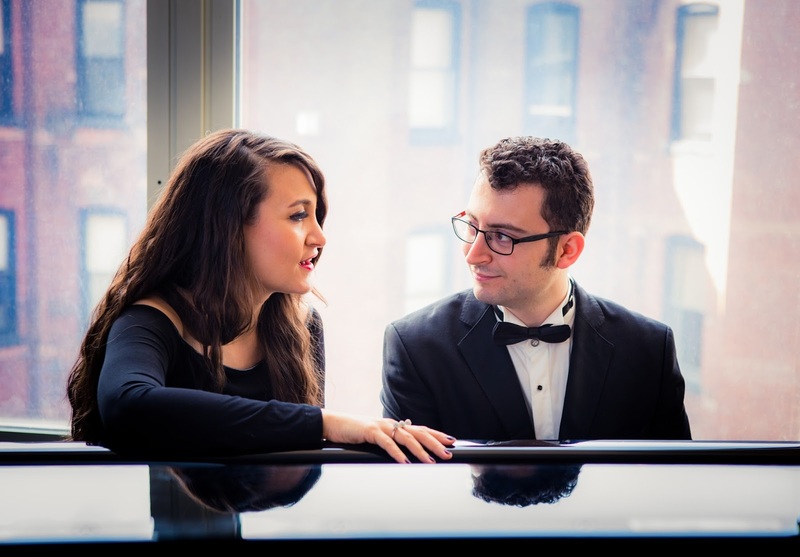 This connection blossomed into love and marriage, and Nihal moved to Boston, where Artun is a professor at Berklee College of Music. She found herself listening to more and more Turkish music to stave off homesickness, which sparked Artun’s interest in recording some of the songs she had arranged. Music is a universal language, spanning across all of space and time. 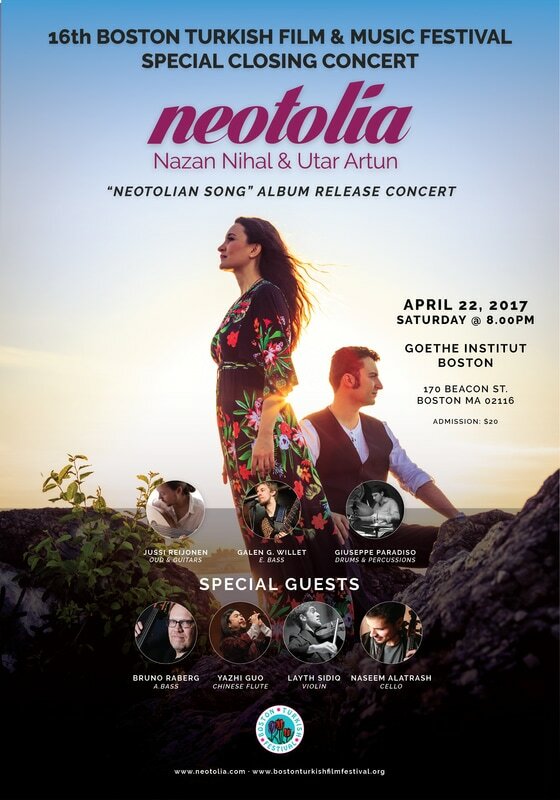 Today, Nazan Nihal and Utar Artun are taking music into a new dimension, bringing the old sounds of Turkish Folk Songs (Turku) to life in their new project, Neotolia. 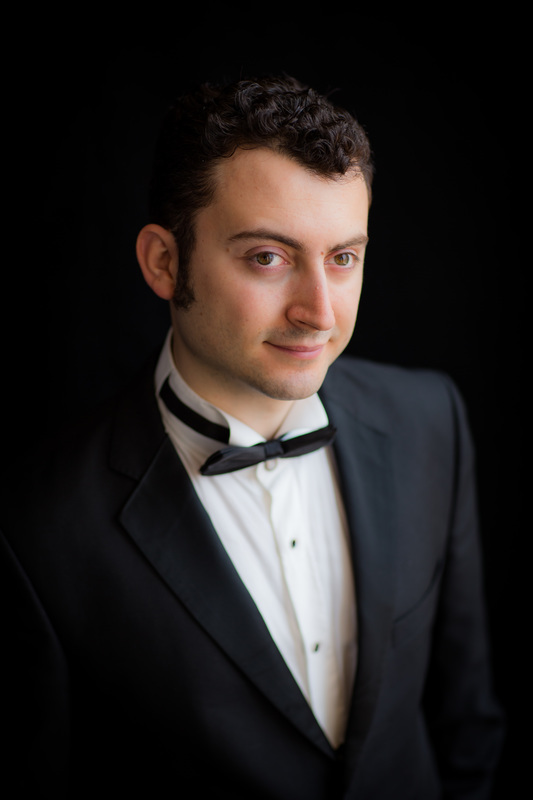 Nazan is a remarkable singer/songwriter and Utar possesses unlimited potential as a composer, conductor, film scorer and arranger. When the two met, they were inspired by their mutual addiction to music. Nazan’s unique interpretation of the old Anatolian songs sparked a chord in the musical heart of Utar and it was at this moment that the concept for their new project, Neotolia, was born. 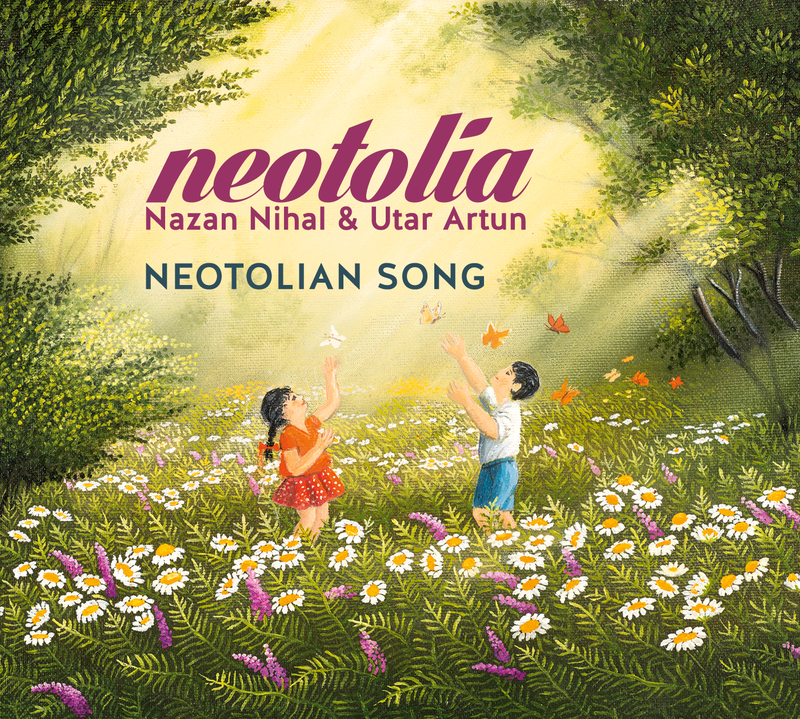 Nazan and Utar want to share their contemporary perception of the music that rose out of Anatolia, music with the power to erase the boundaries between history and current times. As important as their revival of Turkish Folk Songs is their creation of new compositions, mostly in the English and therefore understandable for a big audience. The songs from Neotolia are founded in the heart. Everyday common feelings are captured in lyrics and music, listeners can recognize feelings and emotions that they have been going through. Neotolia also creates music for other artists, while giving support as songwriters and producers. Neotolia feels no boundaries. With their roots in Turkey they explore new directions in music. Domiciled in the States they travel all around the world including Europe, bringing music to their audience.